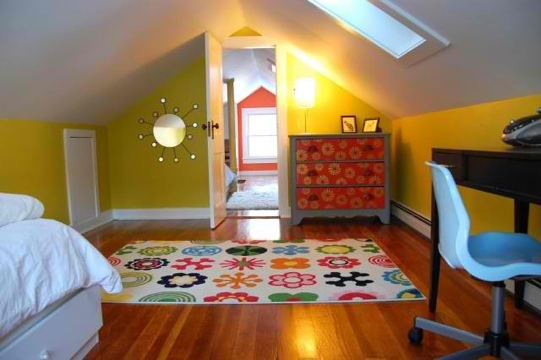 Even the smallest attics have great potential to be renovated into one of the most charming spaces in your home. Usually attics represent the often odd intersections of your roof which creates all sorts of interesting little spaces that you don’t find in the rest of your home. As well, since in most cases attics are not really included as legal living space, you can be a little more flexible as to what level of finish you renovate the area. Attics with low headroom can be ideal as alternative children’s bedrooms (with proper egress) or play rooms and can offer an enviable escape from the rest of the household. The same ideas hold true as a home office area or studio or even as a pied-de-terre in your own home.